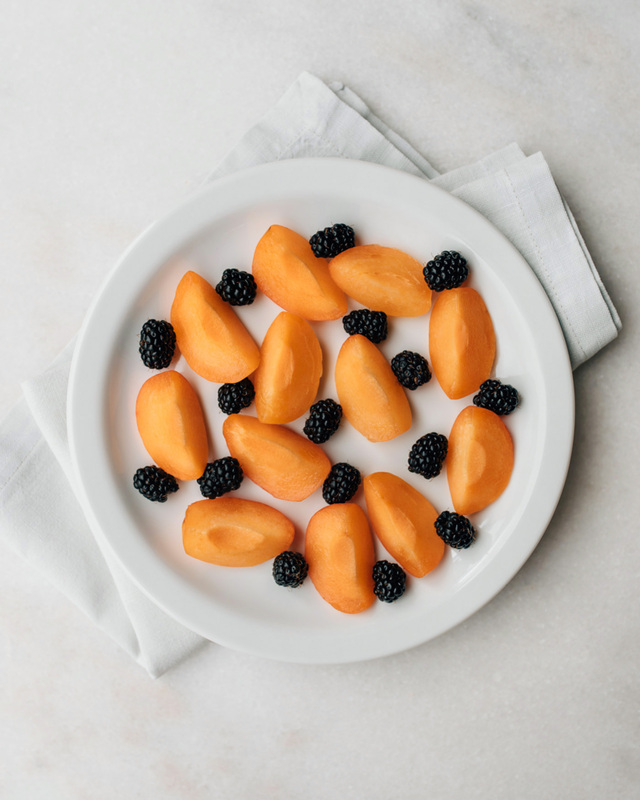 Sweet apricots make a nice combination with raspberries or blackberries. If you are into eating locally and seasonally, this is the time for fruit on the northern hemisphere. In the Nordic, strawberries are ripe and they taste so good they were worth the wait. In Italy, we got the first figs from the garden a couple of days ago. 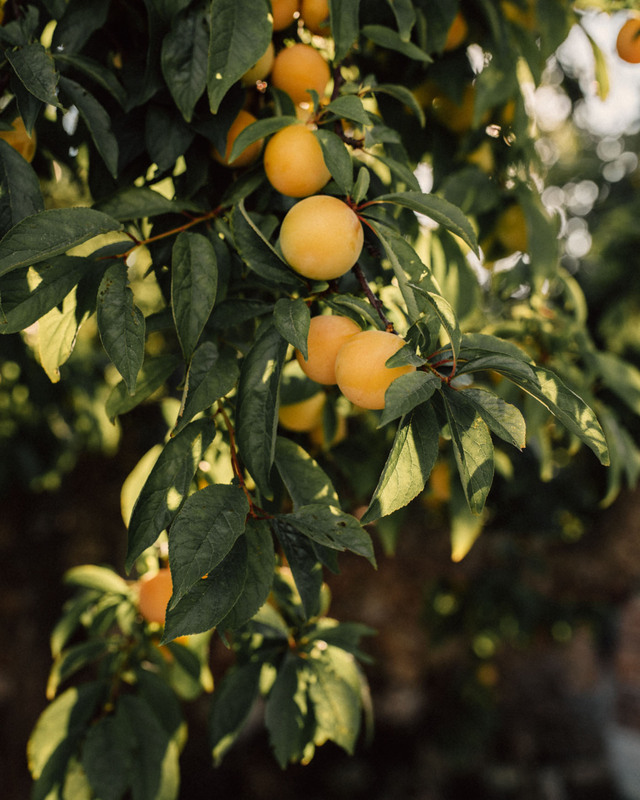 Local farms produce apricots, pears and plums. Melons, nectarines and Saturn peaches are also available so every day is a fruit day. You can make great salads out of fruit by combining them with greens, I especially like the bitter greens. For dressing, a squeeze of lemon and some olive oil, or a simple vinaigrette. Add a little bit of salt and black pepper and that’s it. Eating fruit straight from a tree is poetic, our dog does this with figs and I do too. But on a hot afternoon, there’s no better snack than cold fruit. Refrigerated and cut in bite-sized pieces, or cut and served on ice. Everything tastes better, and even the simplest ingredient gets elevated, when you prepare and serve it nicely. The energy and consideration you put into making the dish can be tasted in the end result – even if all you did was some washing, drying, slicing and placing on a plate. It’s love.